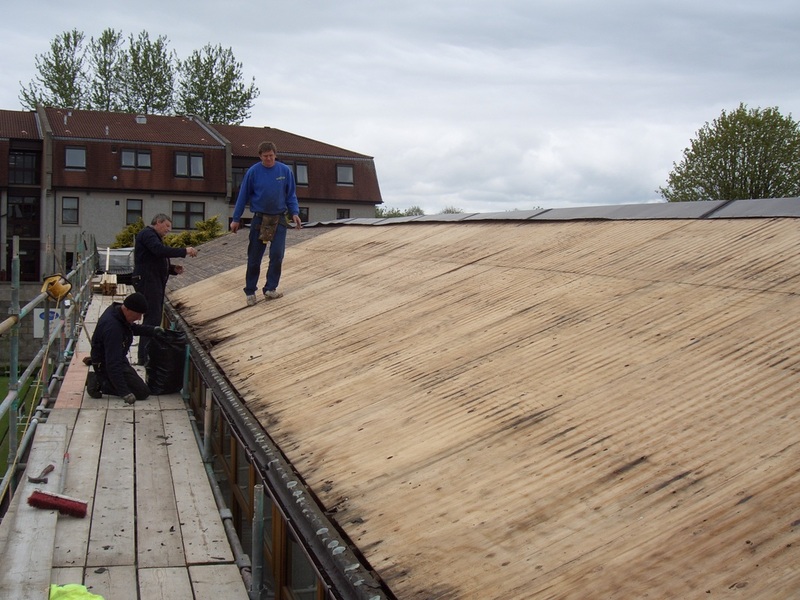 Following a winter of indoor bowling where matches had to be cancelled due to water ingress, it was pretty clear that urgent maintenance was required on the club house roof. After several committee meetings and an Emergency General Meeting, the Council of Management gave the go ahead for an entire new roof. From the photos below, it was quite clear that this was an absolute necessity. 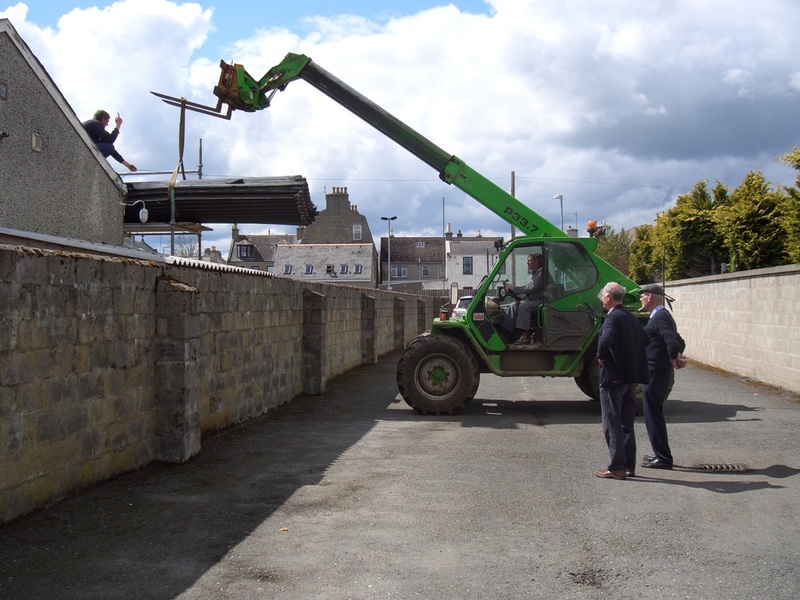 The new roof was financed by a maintenance fund, generated by a maintenace levy which was imposed on the fees of all members for a total of ten years. Along with an interest free loan from a long standing member of the club, which was paid back in 2011, the project was part funded by a grant awarded by Awards for All Scotland. Awards for All is a Lottery grants scheme funding small, local community-based projects in the UK. Since 1994, 28p from every pound spent by the public on lottery tickets has gone to good causes. As a result, over £27 billion has now been raised and more than 317,000 grants awarded. Below is a brief time line of the work to replace the roof, as well as a selection of photos taken during the 3 weeks of construction. 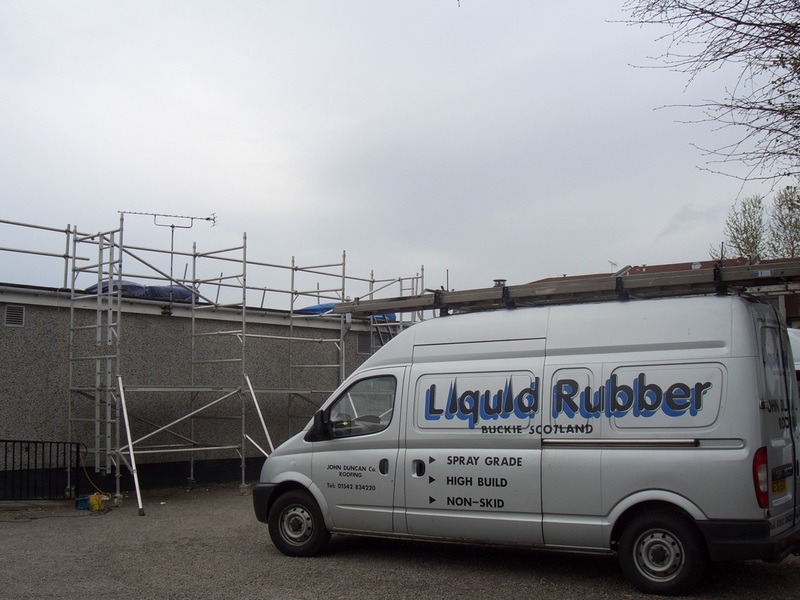 John Duncan Roofing Ltd arrive onsite and commence works. 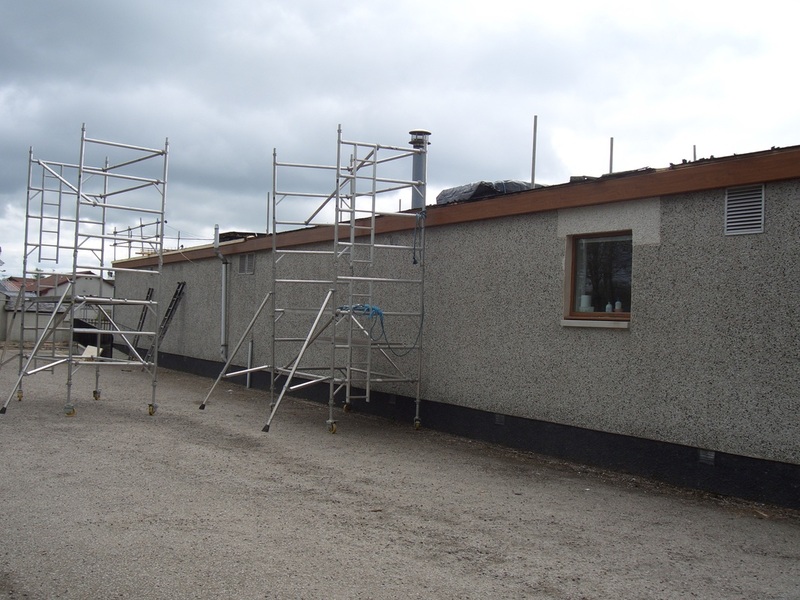 All scaffolding erected on front and rear of clubhouse. 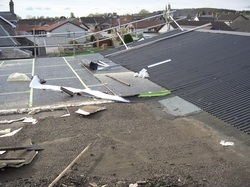 The alum corrugated sheets are removed from the rear pitched roof. The full extent of the damage is revealed. 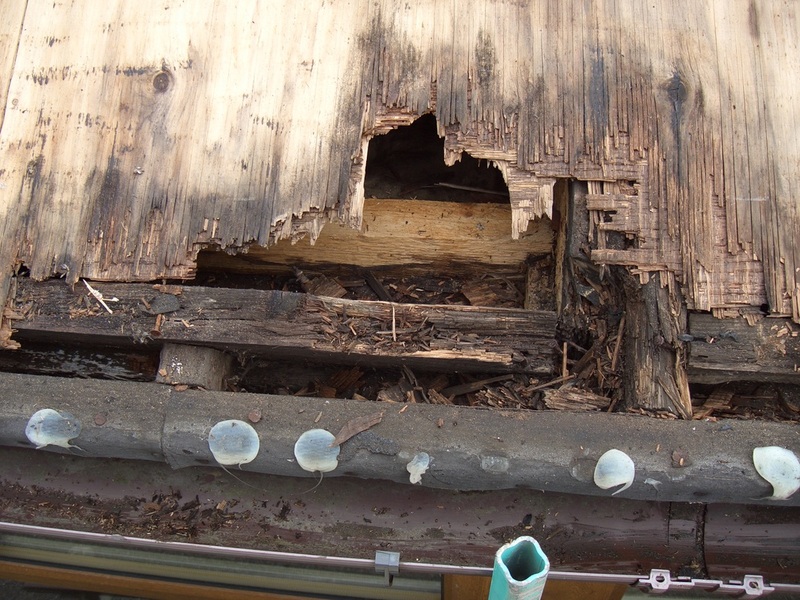 The plywood was rotten in several places and holes had appeared in the worst affected parts. Work started on replacing facings/gutters. New Planwell sheeting delivered to site. 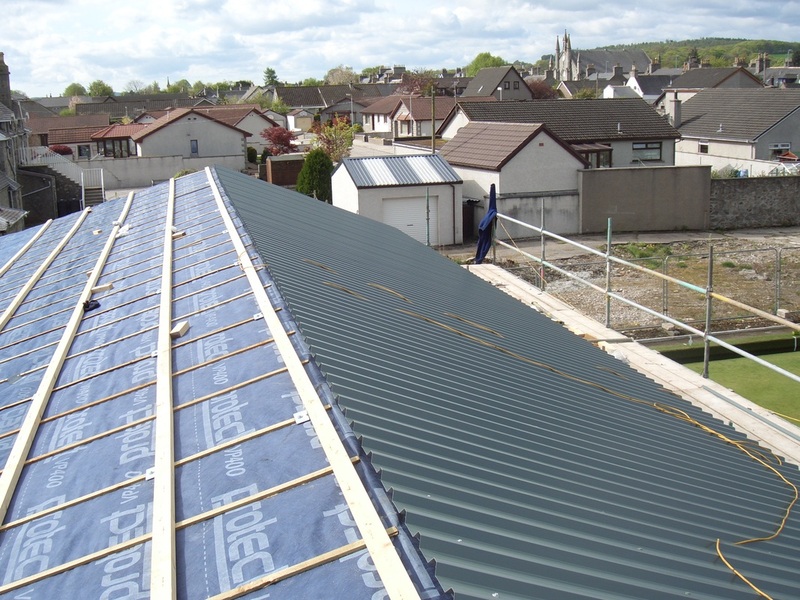 Work continued on flat roof . Flat roof ready for liquid rubber to be applied. Back side of roof stripped of alum sheets, not so much rotten plywood here. Arthur Murrison arrived to lift down the old alum sheets and lift up the new Planwell material. Alum sheets to be removed by scrap merchant. All alum sheets now removed from both front and rear of pitched roof. 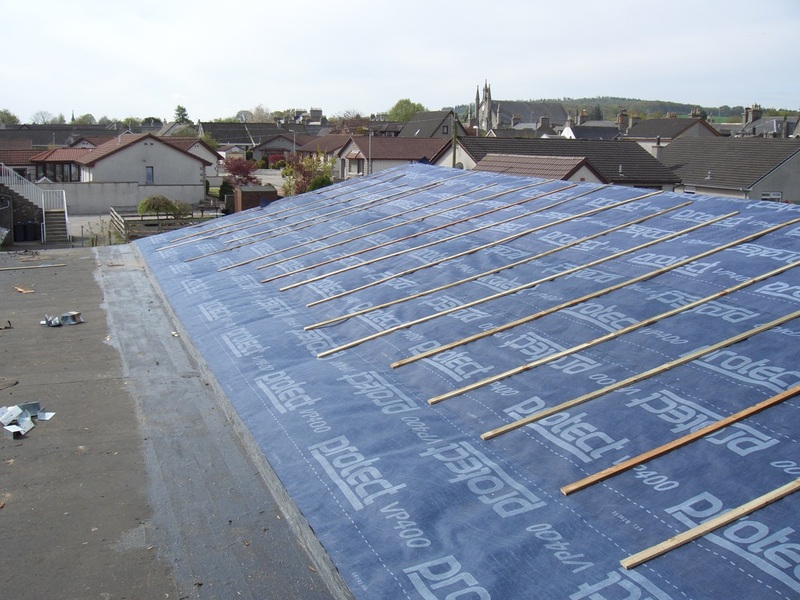 Pitched roof now completely covered with VP400 material. Skip for alum sheets arrived. Thanks to Jim Beagrie, Jim Downie and Norman Hepburn for their labour. Pitched roof now completely sheeted. Baffles being fitted to direct roof water run off to gutters. 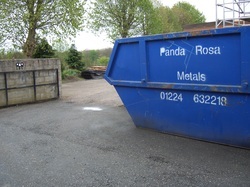 Skip of alum sheets uplifted. 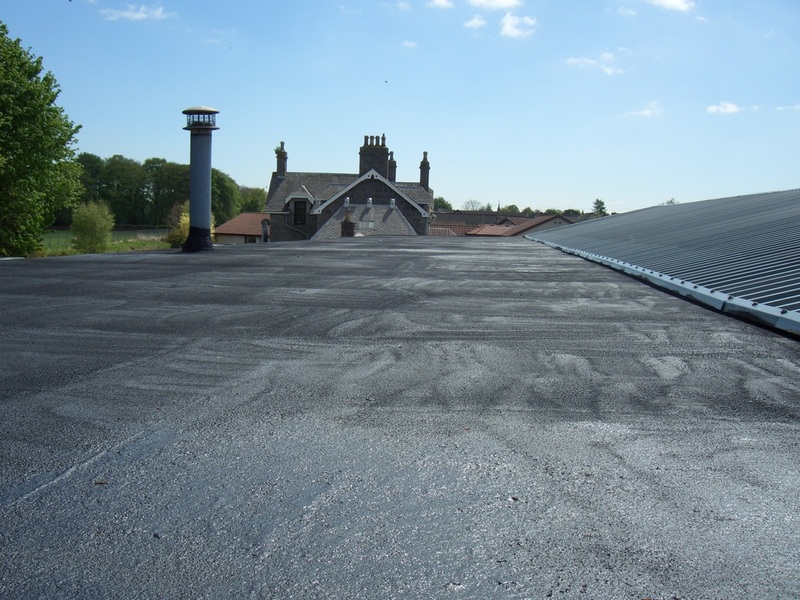 Flat roof completed and disabled toilet end of building facings replaced. Far end gable facings completed. All gutters and down pipes fitted. Scaffolding dismantled. Invoice received - job done.